Rick Ducommun, a Canadian comedian who later found big-screen success acting opposite stars like Tom Hanks and Bill Murray in Hollywood comedies, has died of diabetes complications. Ducommun’s friend and The Burbs director Joe Dante broke the news, which has been confirmed by The Hollywood Reporter. He was 58. Born on a farm in Saskatchewan, Canada, Ducommun hated his rural upbringing and ran away from home at the age of 14, hitchhiking around the northern U.S. until he returned to Canada and settled in Vancouver at the age of 17. There, he began doing stand-up comedy, a gig that led first to club gigs as a touring comedian, then to a stint on a kids’ show, ZigZag, then a stint as an announcer and sidekick on Alan Thicke’s short-lived late-night show Thicke Of The Night from 1983 to 1984. Ducommun continued to act in small parts on TV and in films—including roles as a prison guard in Spaceballs (1987) and a city worker in Die Hard (1987), but he found his weight, then over 400 lbs., was holding him back. 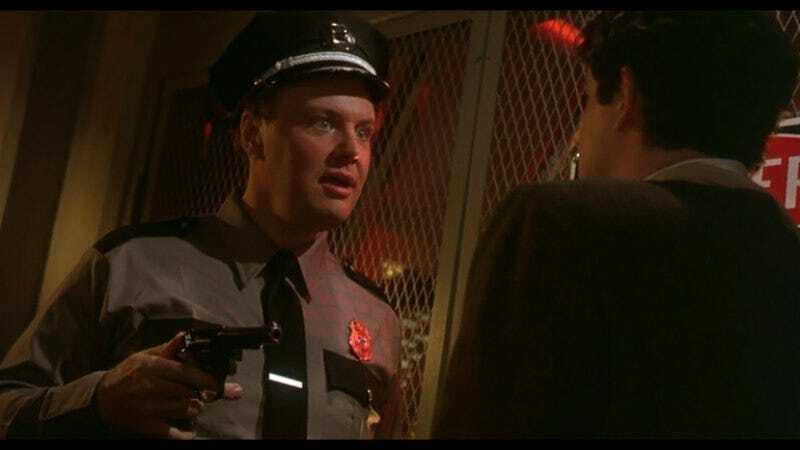 A newly slimmed-down Ducommun re-emerged as Tom Hanks’ nosy neighbor Art Weingartner in The ’Burbs (1989); a co-starring role in the kids’ movie Little Monsters (1989) and an HBO special, Rick Ducommun: Piece Of Mind, came that same year. He recorded another stand-up special, Hit And Run, in 1992, and continued to act in films like Groundhog Day (1993)—where he played Gus, one of Puxatawney’s town drunks—Encino Man (1993), and Blank Check (1994), as well as performing stand-up in clubs and on TV. Ducommun’s last film role was in the family comedy Funky Monkey in 2004.